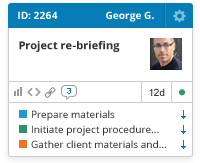 Slice your projects into smaller work items using the parent, child, relative or mirror links. 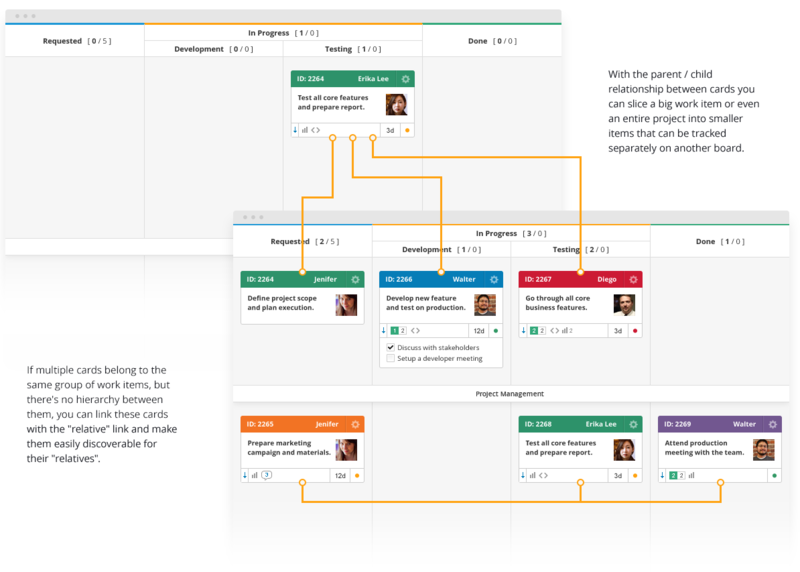 Link cards between different Kanban boards and build powerful dependencies and connections. Complex projects involve a lot of work items and, with no special care, visibility is quickly lost. 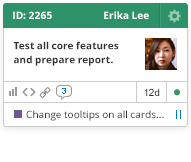 Link Kanban cards in different boards and get the ultimate visibility you need to execute successfully. All the links are visible directly on the card with a color code representing their status. This is how you know how much has been completed at a glance. A parent card with three children. A “mirror” card that changes when any of the other mirrors are updated. A child card that is also a parent to another card. It’s a common problem: Many teams know the path forward, but they struggle to visualize the many steps and tasks they need to accomplish along the way. Kanbanize software features an online Kanban board that solves this problem. You and your team will be able to quickly analyze where a project or many projects stand, and then take action that improves both efficiency and productivity. With so many Kanban software and digital Kanban board options, what sets Kanbanize apart from the competition? 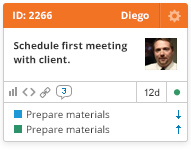 You’ll typically encounter two different types of Kanban software tools. First, you’ll find tools that are easy to use, but these tools don’t have the functionality needed to truly make an impact on your productivity and efficiency. Second, you’ll find tools that have the needed functionality, but learning to use these tools is so onerous that it takes weeks and months to master — negating any productivity benefit. Kanbanize is different. Our software and digital Kanban boards offer both the functionality you demand and the user-friendliness needed for fast and effective integration. Rather than spending weeks or months learning how to use Kanbanize, you and your team will quickly begin enjoying the many productivity and efficiency boosting features — Kanban boards and much more. Discover the power and intuitive design that companies across the globe use. Enjoy an obligation-free 30-day trial. It won’t take long to see the difference the right Kanban software can make.